Christie’s brilliant lesson in storytelling paid off in its auctions of the collection of Peggy and David Rockefeller this week in New York. Every single one of almost 900 lots offered in live auctions had sold by Friday 11 May, bringing the total to $828m even before the conclusion of an online-only sale. Over the past months the auction house had toured the highlights to three continents, where they were seen by around 80,000 visitors, and the bids poured in from around the world. Dealers agreed that estimates were overall correct, reflecting the works’ market value without the upside of the famous name. But the expectation, of course, was that final prices would exceed the estimates, and the results clearly speak of a ‘Rockefeller effect’. “People paid 30% or more at times for the name”, Doug Woodham, a New York art advisor, says. “They have an emotional connection”. In 70 years of collecting the Rockefellers (heirs to the Standard Oil fortune but accomplished figures in their own right) bought many masterpieces, though not exclusively, often relying on instinct, as David details in a catalogue note. “The collection exemplifies the connoisseurship of the Rockefellers in what they bought in a beautiful, relaxed fashion”, Philip Hewat-Jaboor, chairman of the Masterpiece fair in London, says. Christie’s, having guaranteed the estate a minimum but undisclosed price when it won the consignment, managed to offset its financial risk in the two evening sales with 16 third-party guarantees on top works. The net proceeds benefit twelve institutions selected by the Rockefellers. The first of two evening auctions offered on 8 May consisted of 19th and 20th century European art and featured the most valuable works of the collection. But Picasso’s difficult and overly hyped Fillette à la corbeille fleurie (1905), from the collection of Gertrude and Leo Stein with an estimate of $100m, attracted only one bid, seemingly hammering down to the guarantor for a final price of $115m (all prices reported include fees). The following, more appealing top lots likely went to Chinese bidders on the phone with Xin Li, deputy director of Christie’s Asia: Claude Monet’s Nymphéas en fleur, which set a new artist record of $84.7m with fees, and Henri Matisse’s extraordinary Odalisque couchée aux magnolias sold for $80.7m, a record for a painting by the artist. 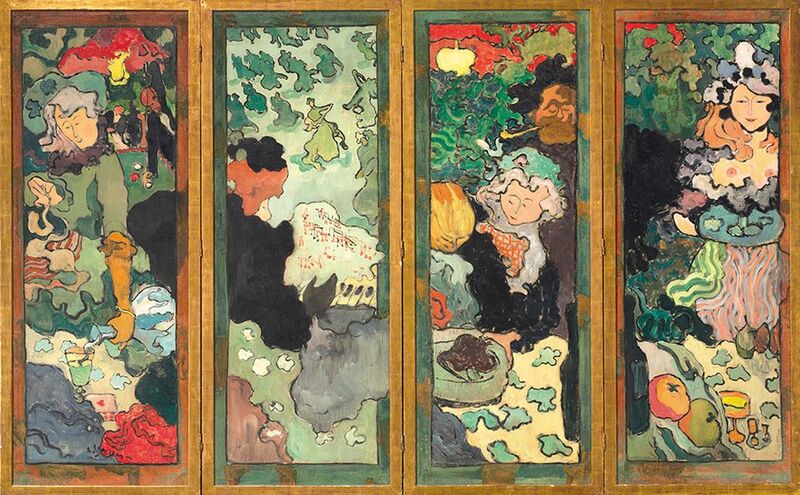 Among the most passionately contested lots that night was the four-part folding screen Les délices de la vie (circa 1892-93) by the today forgotten Nabi artist Armand Seguin. The Swiss art advisor Thomas Seydoux was victorious at $7.7m, far beyond the $800,000 to $1.5m estimate. “It’s one of his best pictures, in typical Nabi style and as good as Vuillard. It was worth fighting for”, a beaming Seydoux said later. Overall, the 44 works sold for $646.1m, setting seven records, as well as a record for a single-owner sale. With the Rockefeller provenance, even the flagging market for American art enticed bidders from 23 countries. On the evening of 9 May, 41 American works ranging from the 18th to the 20th century brought in $106.9m, the highest-ever total for a sale in the field. Gilbert Stuart’s 1795 portrait of George Washington—of the rarest Vaughn type, which is closest to the famed original—exceeded even the wildest expectations. Estimated at $800,000, it ignited a prolonged fight between Hans-Peter Keller of Christie’s Zürich and the winning bidder, a woman in the front row. She ultimately paid $11.5m, according to dealer Michael Altman “a very appropriate price”. 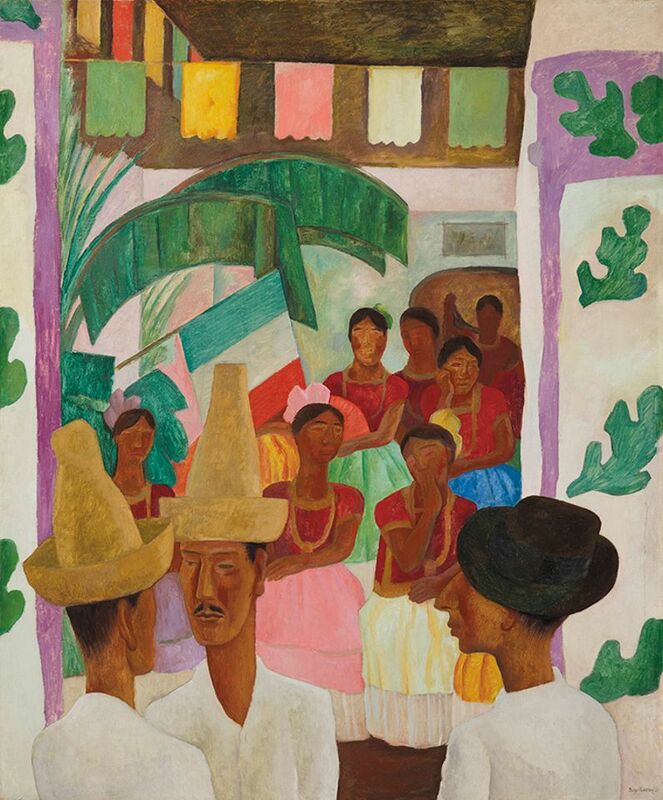 An exceptionally beautiful oil by Diego Rivera, The Rivals, depicting a fiesta in Oaxaca and painted in 1931 for Abby Aldrich Rockefeller, David’s mother and one of the founders of New York’s Museum of Modern Art, raised $9.76m. This price set a record for a Latin American work at auction. Decorative arts objects, making up the majority of the sales with 719 lots, performed surprisingly well, in some cases up to six times their fair market value. Three marathon auctions brought in $31.9m in total, with the final one—Travel and Asiatica—beginning the night of 10 May and running well into the wee hours of the following day. The Rockefellers passionately collected English furniture and porcelain, amassing dozens of dinner services, which were all in use. Christie’s sold 67 of them at exceptionally high prices, driven by demand from Chinese buyers. 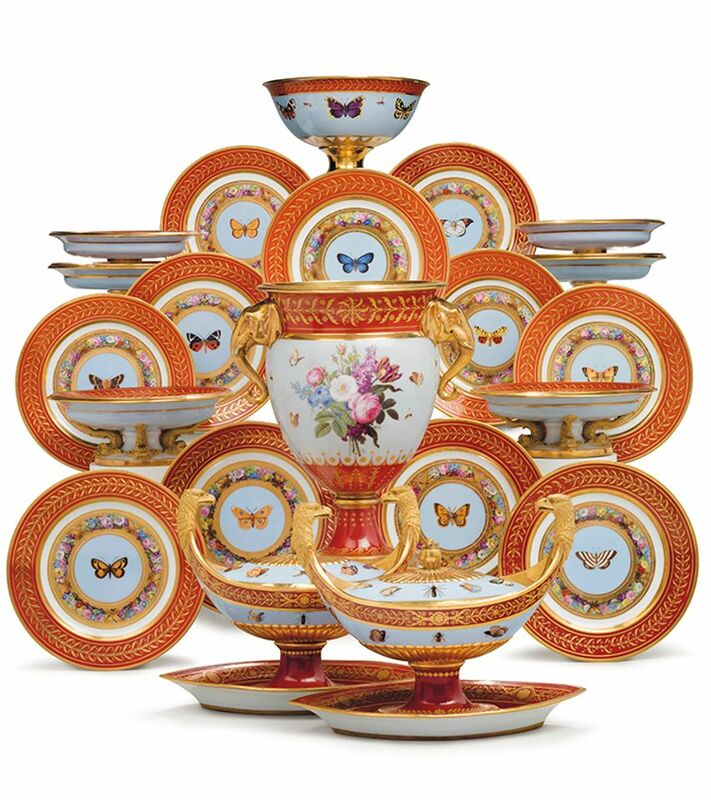 The record for any service was claimed on 9 May by 21 pieces from the Sèvres dessert service known as the Marly Rouge, made in 1807 for Emperor Napoleon I. The lot hammered at $1.5m, or $1.8m with fees, to a phone bidder, fiercely contested by three other phones and a French-speaking bidder at the back of the room. Provenance boosted the many lots of English furniture, particularly the lesser pieces. The Rockefellers acquired 18th-century furniture to live with, appreciated its understatement, comfort and link to history. 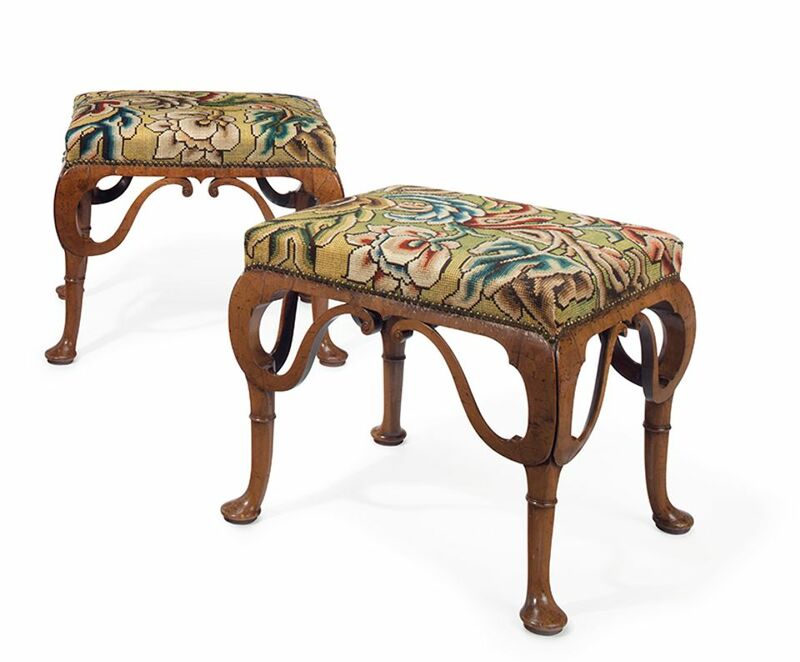 Among the few particularly noteworthy pieces was a pair of Queen Anne walnut stools with ‘flying’ brackets, made in 1710. Acquired by David Rockefeller only five years ago, in 2013, they flew to $275,000 (est $70,000-$100,000).